We are pleased also to welcome Major General Hindmarsh as patron to the Grub Club. 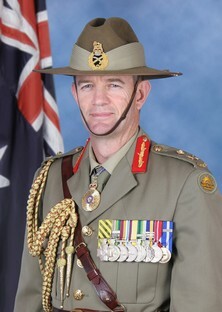 Major General Hindmarsh saw regimental service as a Platoon Commander with 2/4 Battalion, the Royal Australian Regiment and as a Troop Commander, Squadron Commander and Commanding Officer with the Special Air Service Regiment (SASR). See our new page Grub Club Patrons for more details. 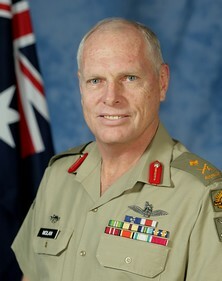 We are extremely pleased to welcome Jim Molan, Major General (retired), as patron to the Grub Club. Retiring from the Australian Army in July 2008 after 40 years, Jim Molan has seen service across a broad range of command and staff appointments in operations, training and military diplomacy. An infantryman, an Indonesian speaker, a helicopter pilot, commander of army units from a thirty man platoon to a division of 15,000 soldiers, commander of the Australian Defence Colleges, with service in Papua New Guinea, Indonesia, East Timor, Malaysia, Germany and the US, and commander of the evacuation force from the Solomon Islands in 2000, all provided the necessary background to his most demanding posting to Iraq.